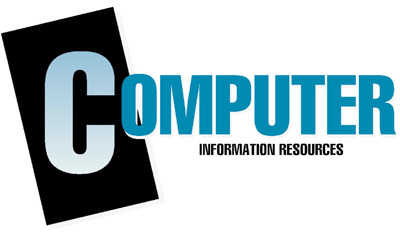 Computer Information Resources (CIR) was founded in 1981 by Mr. G. Dale Taylor. After a successful career in the used equipment remarketing and leasing industry, Mr.. Taylor recognized a need tracking the prices in the used equipment market. As a result, “Computer Price Watch” (CPW) was launched in June of 1981. CPW addressed the current “Fair Market Value” in the used equipment marketplace. Specifically of IBM, and other significant manufacturers of mainframe computers and peripheral devices. CPW provides the IT, Finance, and business professional with up-to-date information of, performance and pricing in regard to Mainframe Computer Equipment and features; plus related peripheral devices and Sub-Systems. In 1993, we launched “Servers, PC’s & Workstations” (SPWS) to address the same information in regard to the immense market of smaller Servers, Workstations, PC’s, Laptop Computers and Printers. In 2006, Mr.. Taylor retired and CIR was acquired by Mr. Robert Zacuto. He was a contributing source of pricing information and a subscriber of both CPW and SPWS since the 1980’s. Mr. Zacuto brings 25+ years of knowledge and experience of trading / leasing of mainframe; and all types of Computing Equipment as the President / Owner of his own firm. Today, we continue the tradition of providing “Up-To-Date” information on the values of both new and used equipment that either needs to be acquired or sold, without spending hours (or days) of research. APPRAISAL AND CONSULTING SERVICES: Did you know that Computer Information Resources began in early 1990’s recognizing the need to supply information in the immense market of based server equipment.